On 8 November, Eurocircle was invited to participate in a European Citizens’ Initiative (ECI) session, which was organised by the European Commission’s representation in Paris, in order to raise awareness of European citizenship and democracy. 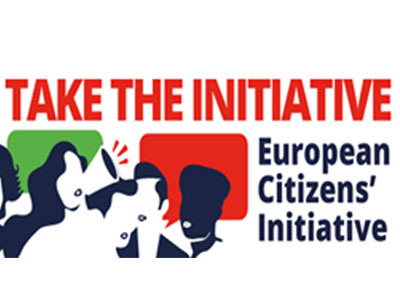 In order to strengthen the democratic legitimacy of the European Union and an increased citizens’ participation, the European Commission has launched an awareness campaign entitled ‘‘Take the Initiative,’’ which aims to ensure that the ECI is known by all European citizens and to increase the number of citizens’ initiatives and participants. On 8 November, a workshop organised by the European Commission explained the mechanisms of the ECO. The European Citizens’ Initiative is a means of democratic participation for European citizens, allowing them to suggest concrete legal changes in any domain which falls under the purview of the European Commission, such as the environment, agriculture, energy, transport or business. This initiative allows citizens from across the various member states to assemble around a particular issue, which is important to all them, with a view to influencing EU policy-making. In order to launch a Citizens’ Initiative, it must be initially proposed by at least 7 EU Citizens of voting age, and who must live in at least 7 EU member states. Once an initiative has obtained 1 million signatures with minimum thresholds reached in at least 7 countries, the European Commission must decide whether or not to take action. The Commission will then carefully examine the initiative. Within 3 months after receiving the initiative. Commission representatives will meet the organisers so they can explain in detail the issues raised in their initiative. The organisers will have the opportunity to present their initiative at a public hearing in the European Parliament. Then the Commission will adopt a formal response spelling out what action it will propose in response to the citizens’ initiative, if any, and the reasons for doing or not doing so. The response, which will take the form of a communication, will be formally adopted by the College of Commissioners and published in all official EU languages. The Commission is not obliged to propose legislation as a result of an initiative. If the Commission decides to put forward a legislative proposal, the normal legislative procedure kicks off: the Commission proposal is submitted to the legislator (generally the European Parliament and the Council or in some cases only the Council) and, if adopted, it becomes law. To date, only four out of 64 presented citizens’ initiatives since 2012 succeeded in meeting all of the conditions set out by the European Commission, including the 1 million necessary signatures. The first initiative, which was launched in 2012 was entitled ‘‘Right2Water,’’ and was led by Anne-Marie Perret who publically shared her experiences in this domain. When it was officially submitted to the European Commission on 20 December 2013, the initiative Right2 Water had received the backing of over 1.6 million citizens. Despite the impressive performance of Right2Water, the performance of the Commission was deemed to have been disappointing. The ‘initiative Right2Water asked the Commission to propose legislation which guarantees water and sanitation as a human right and an essential service for all. This led to the launch of public consultation on the Drinking Water Directive, a measure which fell short of the aspirations of the petitioners. There was similar disappointment when the initiative ‘‘Stop vivisection’’ also launched in 2013 and aimed to ban animal experimentation in the EU, but was deemed to be ‘‘unrealistic’’ by the European Commission. In any event, a reform of the ECI is currently being suggested. These include among others: translating the initiatives into all of the official languages of the EU, reducing the amount of data needed to submit an initiative and a reduction in the minimum age to endorse an initiative from 18 to 16. This proposal which is currently being examined by the European Parliament, will be put to a vote.